This is another recipe from Dan Lepard column in the guardian. I’ve made it twice before with rye flour and it has been a success both times, so here it is! Mix together the yogurt, tomato paste and oil, add 125 ml of water and stir in the chopped tomatoes and rosemary. Put the flour, yeast and salt in a bowl, pour in the tomato mix and work to a soft dough. Leave for 10 minutes then knead and leave again. Shape into one round shape or several small buns. Roll them in the polenta to cover the crust. Leave to rise on a floured tray for one hour. Best to cover with cling film and keep in a warm corner of the kitchen! Bake in a hot oven (220℃) for 30 min for buns or 45 min for the loaf. Add a bowl of water next to it so the crust is nice and golden. 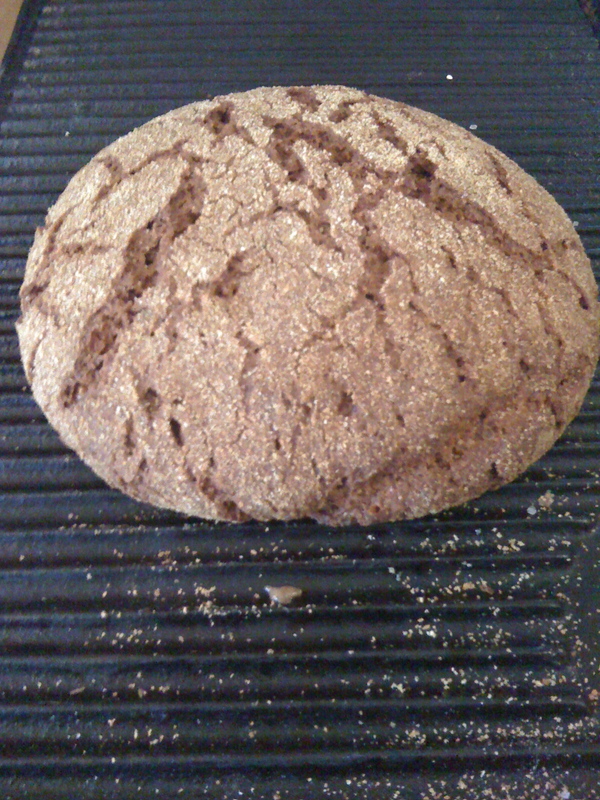 This entry was posted in baking and tagged bread, Dan Lepard, polenta, rye. Bookmark the permalink.